Kano State, the most populous in Nigeria, is known as the ‘centre of commerce’. Yet there are only 359 medical doctors serving its growing 13.4 million population. There are around five times as many nurses and midwives – but this doesn’t amount to even two health professionals per 10,000 population, compared to the World Health Organization’s (WHO) threshold of 45. Local governments use community health workers to fill some of these gaps, but most have not received training to be able to deliver comprehensive maternal, newborn and child health services. 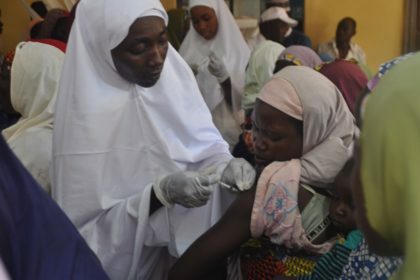 In addition to building the capacity of these service providers, MNCH2 has been advocating for policies to address this human resource crisis. 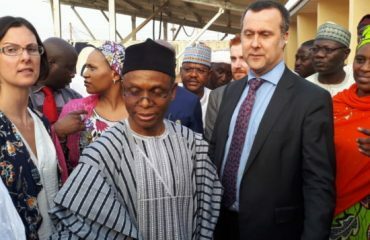 One such solution is the task shifting and sharing policy, which the Executive Governor of Kano State, Dr Abdullahi Umar Ganduje launched in November 2017. At the event, the state’s Health Commissioner, Dr Kabiru Ibrahim Getso, said this will help ensure that the healthcare system is working optimally; address human resource for health gaps; and improve the quality of services provided by all cadres of health care workers. The task shifting and sharing policy is about redistributing work among health workers, so that lower health worker cadres can perform specific tasks previously requiring highly-qualified professionals. Many times, I shed tears because I wanted to help. Most of the cases were quite minor, but our capacity was not up to the task. Amina mentions incidents where patients came with mild bleeding that she could have managed but was restricted by regulations. 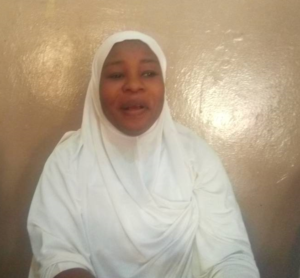 Amina admits the community health workers didn’t always have the capacity to deal with different cases, but this has changed with the training from MNCH2: there has been hardly any referrals from the facility in the past year. She believes that the task shifting and sharing policy will go a long way in enabling health workers of all cadres provide services to women and children, but the training ensures she is up to the task.